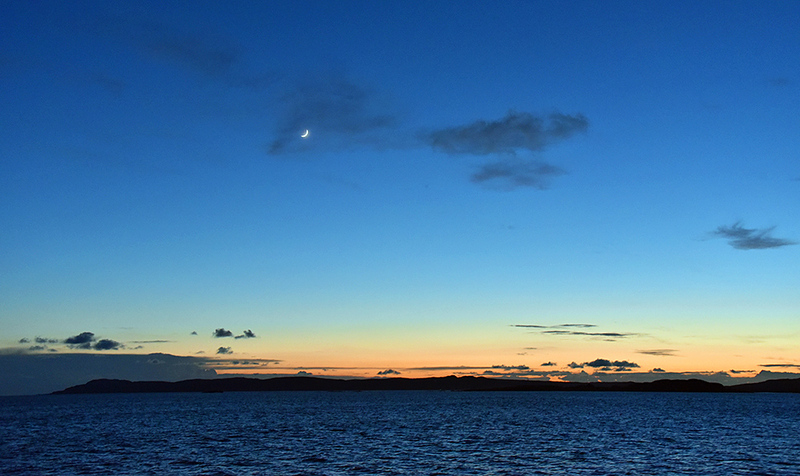 A beautiful view during the gloaming as the Islay ferry is approaching Port Ellen, a Crescent Moon high in the sky over the Oa. This entry was posted in Landscape, New Post, Night, Sunny Weather, Sunset and tagged ferry, Gloaming, Islay, Moon, The Oa by Armin Grewe. Bookmark the permalink.